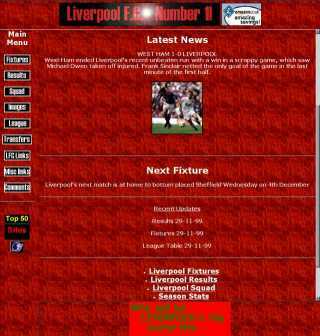 While the amount of content included on this site has increased since it's creation in late 1999, the design too has gone through a number of changes. The following images show how LFC-1 has changed over the course of the past five years. Click on the images to display a larger version.